Survivors of Benton County is a group of women who have gone, or are going through, the same traumatic life experience… Breast Cancer. We are here to advance the awareness of breast cancer and to educate the public about the support available in Benton County, to also support other personnel, individuals and organizations that share in the goal of helping breast cancer patients. We are SURVIVORS. Anyone diagnosed with breast cancer living in Benton County or the surrounding area may attend. Meetings are informal and full of laughter and conversation, Party in Pink planning, an occasional program. Join local breast cancer survivors as we share stories of lost wigs, floating prosthetics, and creative ways we dealt with the stress of being diagnosed with and treated for cancer. We recognize that while support groups are beneficial for many cancer patients, they aren’t for everyone. Some people prefer to keep their feelings to themselves or to share them only with close family and friends, or through online support. Everyone has different needs. It is most important to find a support system that works for you. So we offer the following contact names and emails for those who prefer to talk to someone electronically. The Survivors of Benton County have become instrumental over the past several years in raising funds through their various activities, primarily the Party in Pink 5k race held in June. Hosted by breast cancer survivors of Benton County, Iowa, and in cooperation with the Virginia Gay Hospital Foundation, this 5K walk brings the community together for a day of fun and a whole lot of pink!. Proceeds from this walk go to the Gifts of Hope Fund. The women of the Survivors of Benton County have raised $35,000 for the Virginia Gay Healthcare Foundation’s “Gifts of Hope” program. The program has received almost $51,000 in donations and has disbursed nearly $32,000 to patients in need. The program helps fund a variety of healthcare-related costs women experience, including costs for tests, treatments and travel expenses. Qualifying for the program is as simple as talking with your Virginia Gay health care provider at any of the four Virginia Gay Family Medical Clinics in Benton County. Through dedicated effort and strong leadership, they have become a real fundraising force in the fight against breast cancer. They got their start when the girls basketball coaches and team, during the 2009-2010 season, decided to honor breast cancer survivors and raise funds for a Coaches against Cancer game. The money was donated to the Foundation and the momentum for the Gifts of Hope has grown from there. If you would like to contribute to this fund, you may donate online by clicking here. 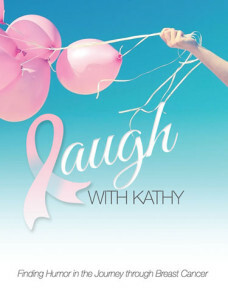 During the month of October, local survivor Kathy Lariviere donated proceeds from Laugh with Kathy book sales to Gifts of Hope and Hall-Perrine funds to help local women receive diagnostic and cancer care. Kathy plans to make this an annual contribution to these very worthwhile funds.